The 50s saw A&AEE enter a golden age of British aeronautical development with many significant British aircraft making their first flights from the airfield and subsequently undergoing testing and development to enter service. Most notable were the Hawker Hunter in 1951, the Handley Page Victor V Bomber in 1952, the Lighting in 1954 and the Folland Gnat (the original mount of the Red Arrows) in 1955. There was also a stream of experimental aircraft being flown from the airfield. 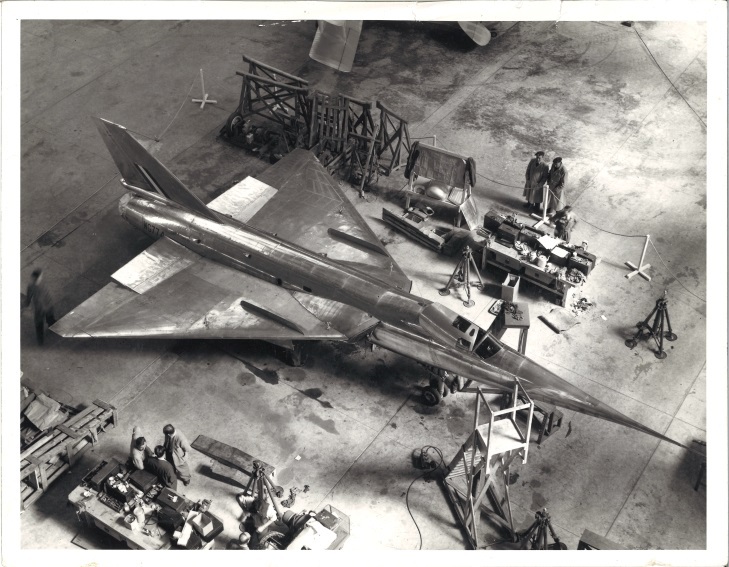 Many of which helped develop other key types such the Avro 707 which provided data for the Vulcan Bomber. Also of note was the Fairey Aviation FD2 which was brought to the airfield and went on to break the World Air Speed record at 1132 mph on March 10th 1956 and then subsequently modified to help develop Concorde. Further expansion of the site buildings was planned but only a few major items were completed. Notably the Weighbridge hangar in 1955 which, in the late 40s, was part of the post-war expansion programme that was to replace the WW1 hangars with four similarly sized hangars and Building 456 to provide better accommodation for the sites technical and administrative staff. A new control tower was also built in 1952 and sited on the south side of the runway (the original control or watch tower still exists today and is used for operational purposes as well as housing the Meteorological Office). Extra hangar space was addressed with 2 of the assembly hangers used by Supermarine at the old High Post airfield re-sited at the eastern end of a new dispersal area. Flight testing from Boscombe Down in the early 60’s included one of the more unusual first flights in that the aircraft was actually built on the site. 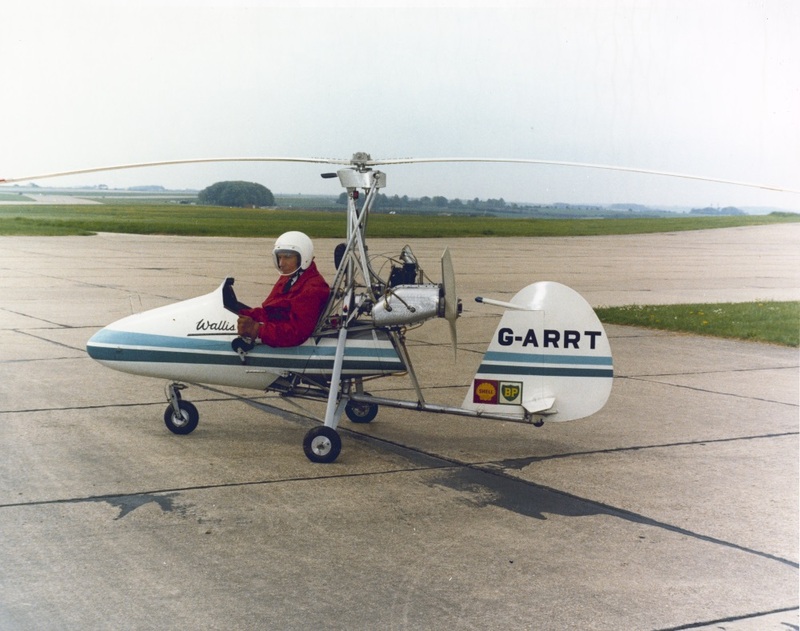 This was Wg Cdr Ken Wallis’ Prototype WA-116 Autogyro, G-ARRT which flew in 1961. During the 60s, the pace of aircraft and weapons testing continued with more novel aircraft types arriving. Possibly one of the most controversial aircraft being the BAC TSR2 which made the last maiden flight from the airfield in September 1964. The TSR2 was designed to penetrate heavy air defences and deliver weapons to major targets behind enemy lines. 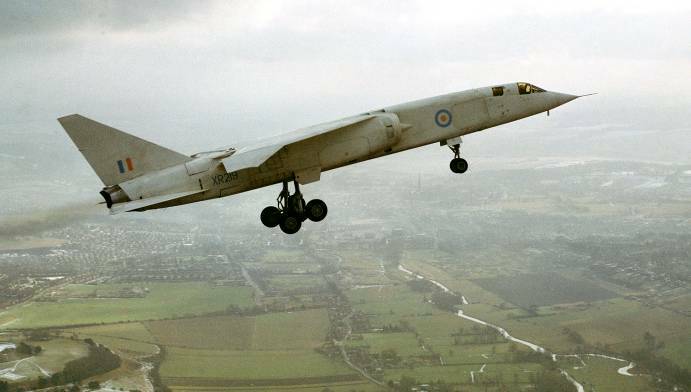 Although the TSR2 performed well, the Government at the time cancelled the aircraft, due to rising production and development costs in favour of the General Dynamics F-111 (a type that would return to Boscombe Down in another context). This too fell by the wayside due to costs, meaning the Blackburn Buccaneer, originally disregarded filled the gap and became a focus of testing on into the 70s. More building work continued with a new hangar and building complex on the south side of the airfield that made use of the old ‘V’ force rapid dispersal site (which had ensured Boscombe Down was on the front line during the Cold War). Bldg 801 as it was known opened in 1963, and became the main focus for helicopter operations. In this context Britain’s helicopter industry was expanding with testing being carried out on many indigenous and adapted US designs, such as the Bristol Belvedere and Westland Wessex. The building activities included a number of specialist facilities many of which remain in use today. Of note were a specialist rocket test stand for Blue Steel, a rotor testing site to support the Fairey Rotordyne, the Radio Environment Generator and the Environmental Test Hangar. The latter has enabled aircraft and their systems to be subjected to large temperature extremes without having to transport aircraft and personnel to other test sites around the world.